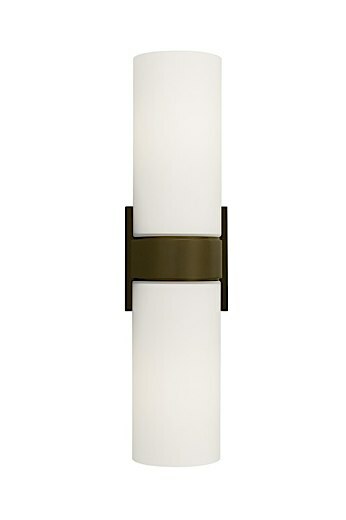 The Hudson wall sconce gives sleek, clean lines to accent your space with sophistication and style. This up-and-down wall sconce features a cylindrical glass shade and simple metal base. Select incandescent or fluorescent lamping. Includes two 75 watt incandescent medium base lamps or two 18 watt compact fluorescent lamps (electronic ballast included). Incandescent version dimmable with standard incandescent dimmer. ADA compliant.